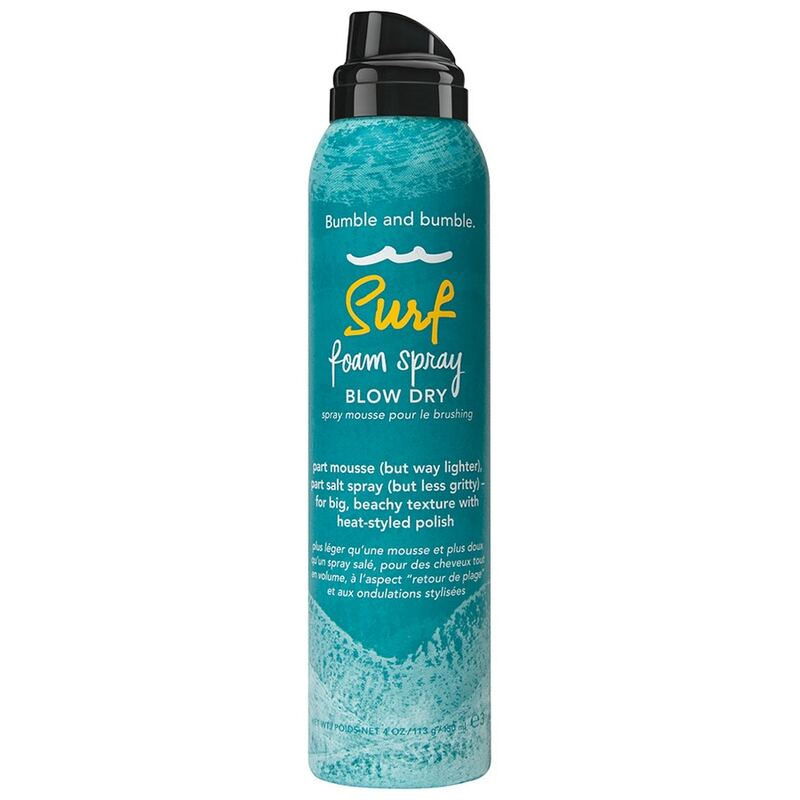 Add texture and definition to your locks with Bumble and bumble's Surf Blow Dry Foam, a hybrid solution that combines a lightweight mousse with a texturising salt spray. Perfect for fine-to-medium hair, or those desiring big, beach-bound tresses, the blow dry foam expertly improves hair's body and volume and utilises a Salt Mineral Complex to provide 'beachy' texture. Less gritty than other salt spray products, the body-building formula is infused with a Tropical Blend of Mango Seed Oil and Coconut Oil to condition every strand whilst providing movement. Use on damp hair before blow drying and witness big, bouncy, textured hair as you heat style.